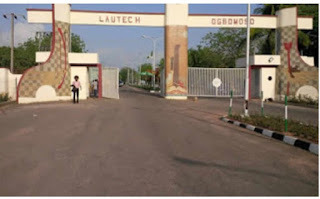 LAUTECH SENATE RESPONDS: How i made a payback for a lecturer who failed me for 6 years in the university. Re: “How I made a perfect payback for a lecturer who failed me for 6 years in the University” Attention of the University Management has been drawn to the most untruthful and malicious publication of Naijaloaded in its March 15, 2018 edition, titled “How I made a perfect payback for a lecturer who failed me for 6 years in the University”, in which a certain mischievous individual, Akeju Oluwanishola Femi who claimed to be a graduate from the Department of Computer Science and Engineering of the Ladoke Akintola University Of Technology (LAUTECH), Ogbomoso, alleged that he was unduly failed in a practical course that he took during his undergraduate programme in the Department of Pure and Applied Biology. The University was bothered by the calculated attempt to bring its long earned and maintained integrity to opprobrium and disrepute by the said online publication, particularly at a time when it was consolidating on its ranking generally among Nigerian Universities. Akeju Oluwanishola Femi was admitted during the 2008/2009 academic session to study for Bachelor of Technology in Computer Science. His Matriculation Number is: 083659, while the registered GSM Number was: 08062975156 and that of his next of kin (Mother) is: 08064419378. He claimed to have hailed from Ido-Osi, in Ekiti State. He along with other students, irrespective of their courses of study, were mandatorily required to take courses in Biology and a few other Science related Courses in their 100 Levels. His Academic records (Statement of results), revealed that he passed BIO 101 and 103 at first attempt during Harmattan Semester of 2008/2009 and BIO 102 during Rain Semester of the same session all with grade E.
The student’s BIO 104 was Carried Forward (CRF), an indication that he failed to register for this course. The student failed to register for BIO 104, which was his only outstanding course in Biology until his spillover year when he registered for it as the only course and passed with grade E.
There were no formal or informal reports of victimization of this candidate in any Biology courses either at Computer Science and Engineering Department or Pure and Applied Biology Department. The claim that the student / writer was failed by a Muslim lecturer could not be true as no single lecturer teaches any course singly in the Department. Moreover, there was no record of this candidate ever failing any course he registered for in the Pure and Applied Biology Department. That the first day of the student /writer in biology practical class was dreadful as claimed could not also be true as the candidate passed BIO 103 which was his first experience in biology practical class. That the (writer) sat for the same biology course for good six consecutive years was not correct as there was no record of such. He only did biology courses at 100 level and never again until his spillover year. That the (student/writer) visited the lecturer in his office to beg him at the third time of failing the course again could not be true. Since there was no record of the student ever failing any of the biology courses at any point in time, there was no basis for this claim. That he (student /writer), consulted his level advisor, Dr. Mrs. A.A. Adigun on this same issue and was advised to go and beg the lecturer has no basis as the writer never failed any biology course, also remains a lie. The mentioned level advisor denied any knowledge of such when contacted by the investigative committee set up to look into Akeju’s claims. All attempts to reach the said writer indirectly through the level advisor and directly through the writer’s GSM no. and that of his next of kin proved abortive (these steps were taken to substantiate the claims made in the write-up). That he (student /writer), met the accused lecturer at the former Fine and Applied Art Department (FAA) along the way that leads to ‘Alata eatery’, in Under G revealed that the writer might be suffering from confusion of location. There is no route that matches the direction of location as described in LAUTECH. The described route can be verified by anybody that is conversant with LAUTECH as non-existent. That he (student /writer), could not go for NYSC at the expected time was as a result of other courses which he failed ( i.e. MEE 231, MEE 211, CSE 301, CSE 331, CVE 401) and of course, BIO 104 he deliberately refused to register for at the available opportunities ( Rain semesters of 2009/2010 to 2012/2013). That he (student /writer), registered as a spillover student for BIO 104 and borrowed four (4) other courses to boost his CGPA was not correct as his academic records showed that he only registered for BIO 104 as a single course in the Rain Semester of the said spillover year. In addition, he scored grade E in the said course and the claim that he scored A’s in BIO 101, 102, 104 and 106 were all false. BIO 106 as a course does not exist in the curriculum of courses being offered in the department. His (student/writer) claim that the lecturer (“that failed him”) has a daughter who gate-crashed together with him and the wife for marking WAEC scripts in Ogbomoso during his NYSC was unfounded. The record before the committee revealed that no lecturer of the Department of Pure and Applied Biology (Muslim or Christian) participated in the marking of WAEC scripts from 2008/2009 till date. In addition, none of the Muslim lecturers in Pure and Applied Biology Department has a grown up daughter that was qualified to mark any exam scripts during the period mentioned till date. Going through the above submission of the Institution, every right thinking individual whose mind is devoid of any attempt to malign for no just cause, would not only see the concocted lies in the story line as told by Akeju Oluwanishola Femi and published without adherence to ethics of journalism practice as it concerns fair play by Naijaloaded, but that the claimant/writer was never an average student, talk less of being a brilliant student while with us.